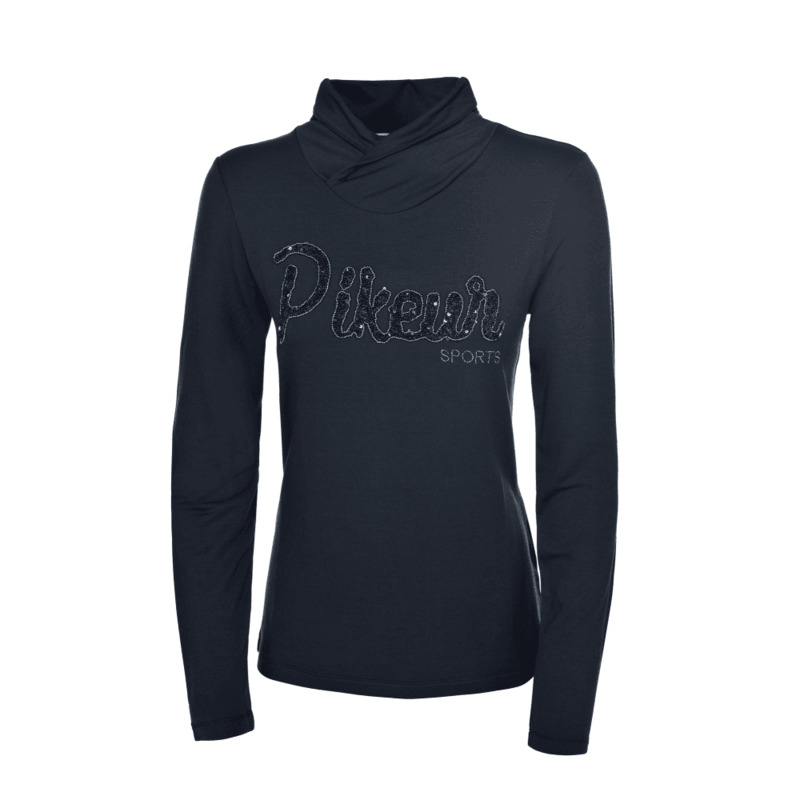 Pikeur Amina Womens Ladies Long Sleeve Top - Navy Blue. Designed with an embossed Pikeur sequin labelling with pearl outline and with a sport lurex embroidered emblem. Stylish and functional enough to be worn any time. Made from 95% viscose, 5% elasthane.